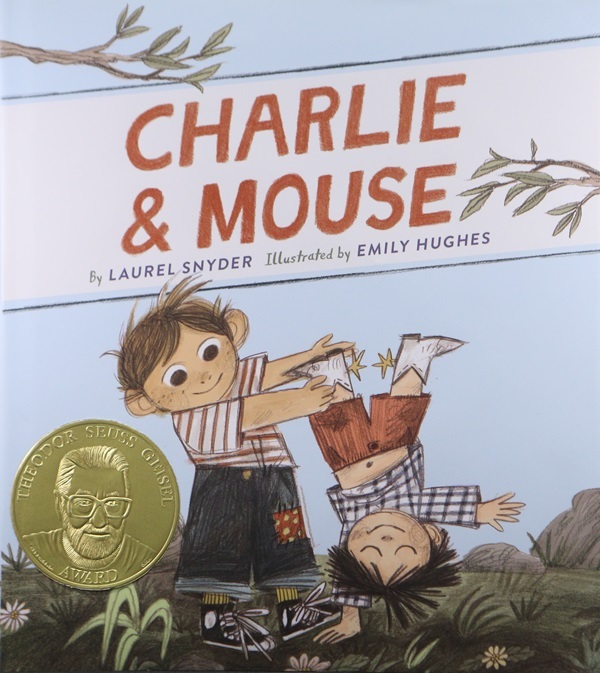 DENVER — Author Laurel Snyder and illustrator Emily Hughes are the 2018 recipients of the Theodor Seuss Geisel Award for “Charlie & Mouse,” published by Chronicle Books. The award was announced today by the Association for Library Service to Children (ALSC), a division of the American Library Association (ALA), during the ALA Midwinter Meeting & Exhibition held Feb. 9–13, in Denver. “I See a Cat” written and illustrated by Paul Meisel and published by Holiday House. Paul Meisel has illustrated more than 70 books and previously received a Geisel Honor for “See Me Run” in 2012. (http://www.paulmeisel.com/about-me/) . “King & Kayla and the Case of the Missing Dog Treats” written by Dori Hillestad Butler, illustrated by Nancy Meyers and published by Peachtree Publishers. Dori Hillestad Butler is the author of several children’s book series, including the Edgar Award winning Buddy Files. Nancy Meyers is a graphic designer in Minneapolis who has illustrated a variety of children’s books. “My Kite Is Stuck! And Other Stories” written and illustrated by Salina Yoon and published by Bloomsbury Children’s Books. Salina Yoon is the award-winning author and illustrator of more than 150 children’s books. “Noodleheads See the Future” written by Tedd Arnold, Martha Hamilton and Mitch Weiss, illustrated by Tedd Arnold and published by Holiday House. Tedd Arnold is the creator of scores of picture books and easy readers and is the recipient of two Geisel Honor awards. Martha Hamilton and Mitch Weiss, also known as Beauty and the Beast Storytellers are critically acclaimed storytellers and award winning authors and recording artists. “Snail & Worm Again” written and illustrated by Tina Kügler and published by Houghton Mifflin Harcourt Publishing Company. Tina Kügler has owned a children's bookshop, has worked in the youth department of a public library, and is the author or illustrator of several books for children.